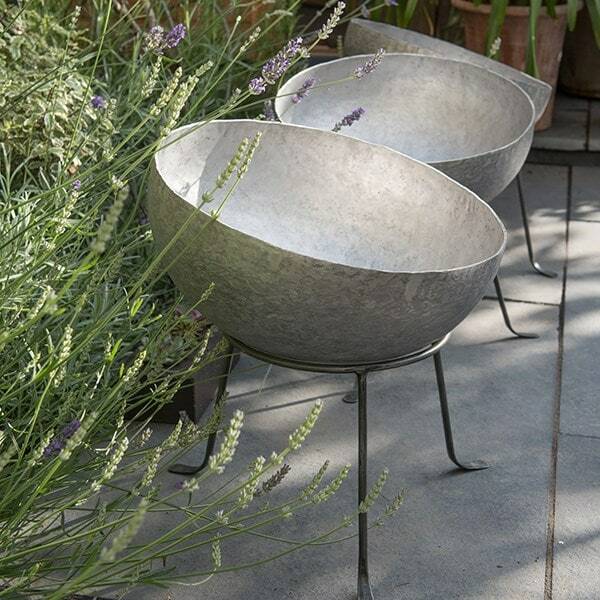 Add height and structure to the garden with this unique metal planter. 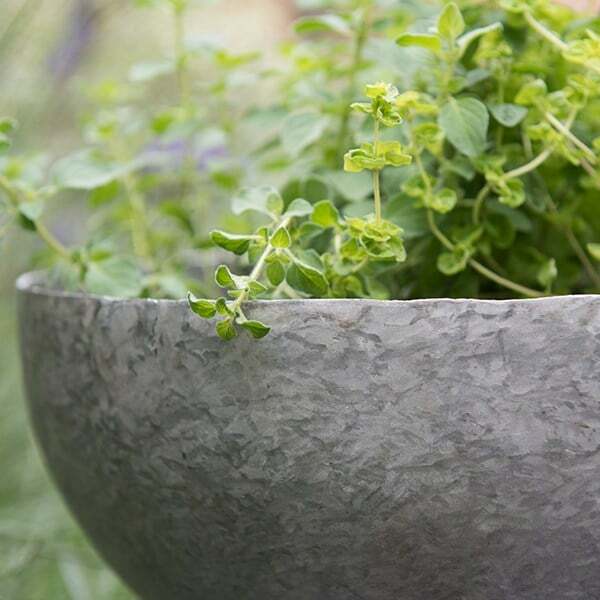 The spun aluminium bowl has a hammered, textured finish and sits on a sturdy tripod stand made from lacquered metal rod. 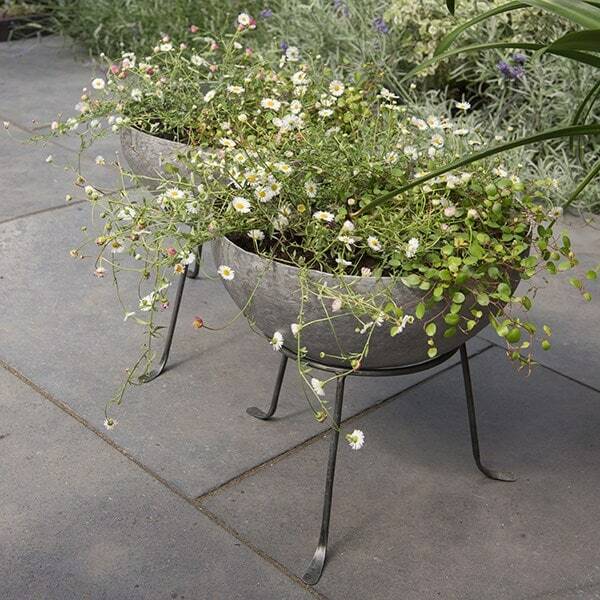 To bring out the best in this planter, fill it with herbs or other trailing plants that will enjoy the freedom to spill out over the sides (shown in the photo are Erigeron karvinskianus and Muehlenbeckia). 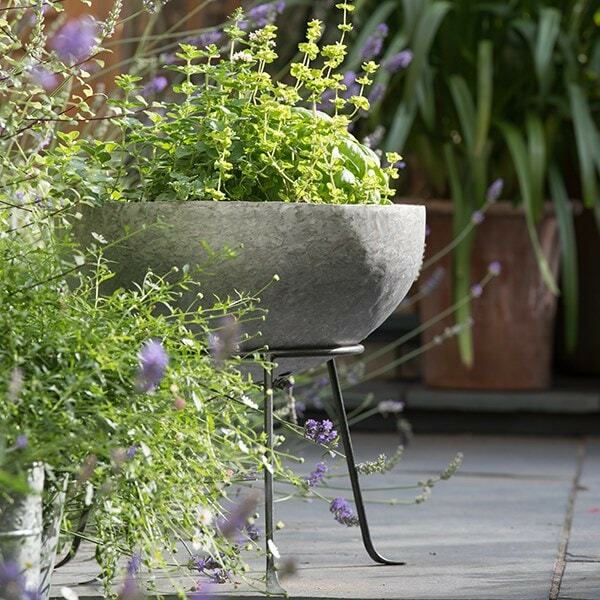 The bowl is independent of the stand and can be angled and tilted however you choose. 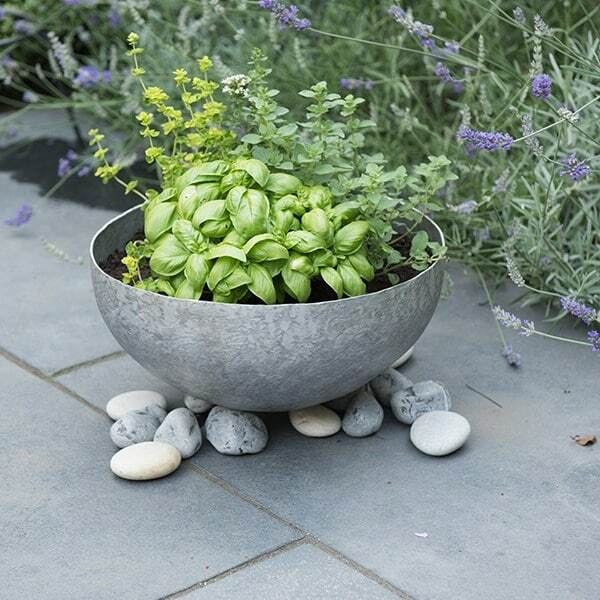 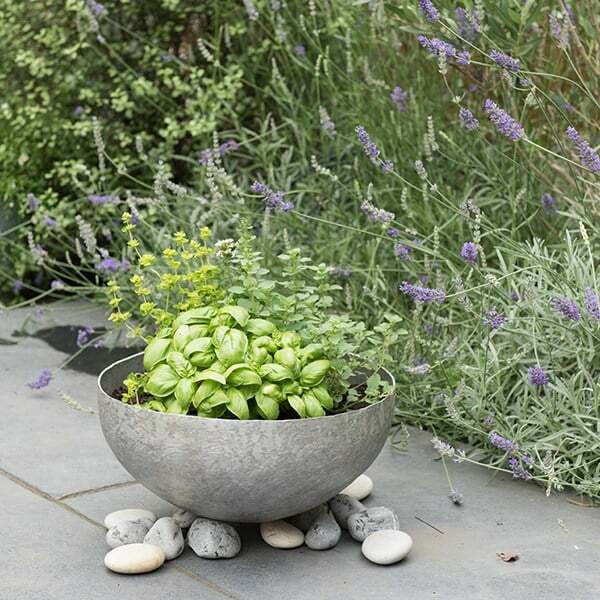 For a more minimal arrangement, the bowl can be removed and balanced on large pebbles on the ground. 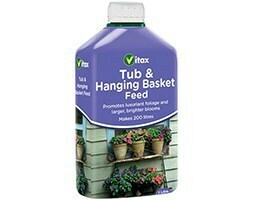 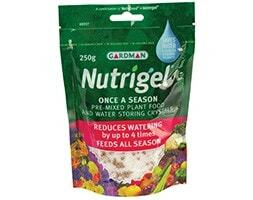 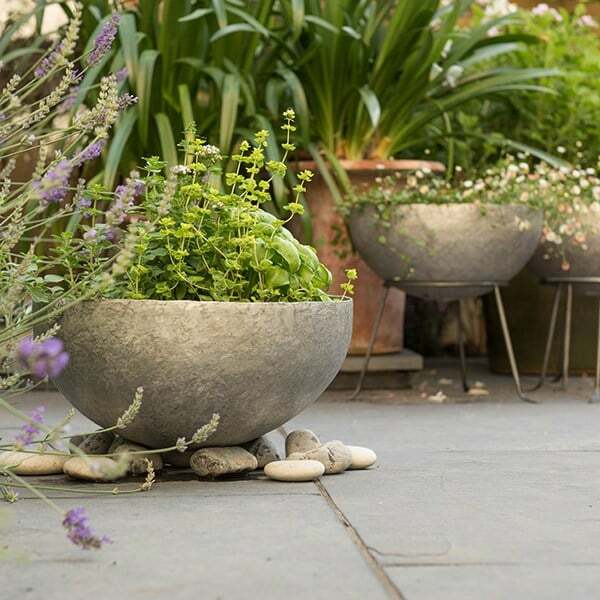 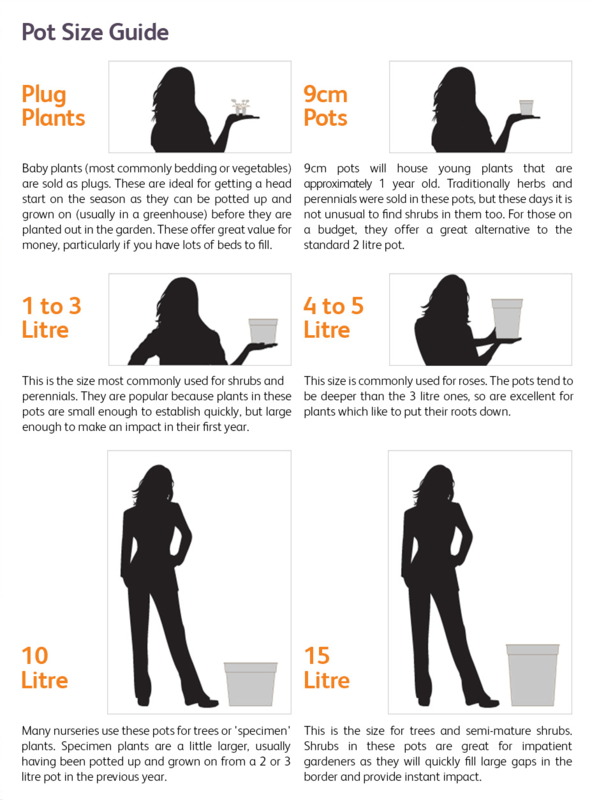 A great planter for making the best use of limited space, ideal for balconies, patios and smaller gardens.